Portopiccolo, the luxury resort and superyacht marina in Trieste, Italy, will be hosting the first edition of the Portopiccolo Fashion Night on August 27, 2016. The evening is aimed at highlighting the variety of world class shopping boutiques – including local Italian label Dobner watches, fashion brand Al Duca d'Aosta and superyacht gym favourite Technogym – on offer at the 5-star resort. Visitors to the event will be treated to catwalk shows highlighting the best pieces from the boutiques, dance shows from Portopiccolo’s resident studio Duino and late-night shopping right on the stunning Italian coast. Wine specialist Consorzio Collio will also be hosting an exclusive wine tasting showcasing the high quality local wines produced by the seven wineries it represents. 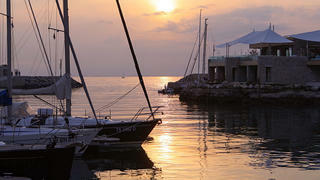 The event is the perfect opportunity for visitors new to Portopiccolo to discover what it has to offer. Before heading over to the shopping district why not grab a sunset cocktail at Maxi’s beach club bar or treat the kids to some ice cream at the FiordiLatte! gelateria? After all the festivities unwind at the L’Oro di Napoli pizzeria or keep the glamour going with fine dining at Falisia Resort & Spa’s Cliff restaurant. Follow with one last nightcap at BaBar before heading back to your berth in the pretty superyacht marina. Portopiccolo Fashion Night takes place from 7-9pm on August 27, 2016. Visit portopiccolosistiana.it for information and tickets.